Rajinikanth (born 12 December 1950 as Shivaji Rao Gaikwad) is an Indian film actor, media personality, and cultural icon. He made his debut as an actor in the National Film Award-winning Tamil film Apoorva Raagangal (1975), directed by K. Balachander, whom the actor considers his mentor. 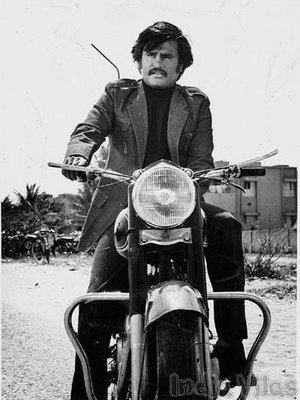 After a brief phase of portraying antagonistic characters in Tamil films, Rajinikanth gradually rose to become an established film actor. He continues to hold a matinee idol status in the popular culture of India. His mannerisms and stylised delivery of dialogue in films contribute to his mass popularity and appeal. After being paid INR26 crore (US$4.0 million) for his role in Sivaji (2007), he became the highest paid actor in Asia after Jackie Chan. 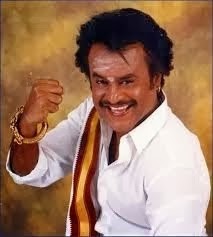 While working in other regional film industries of India, Rajinikanth has also appeared in the cinemas of other nations, including that of the United States. As of 2013, he has won six Tamil Nadu State Film Awards—four Best Actor Awards and two Special Awards for Best Actor—and a Filmfare Best Tamil Actor Award. Padma Bhushan, India's third highest civilian honour, was bestowed upon him in 2000. 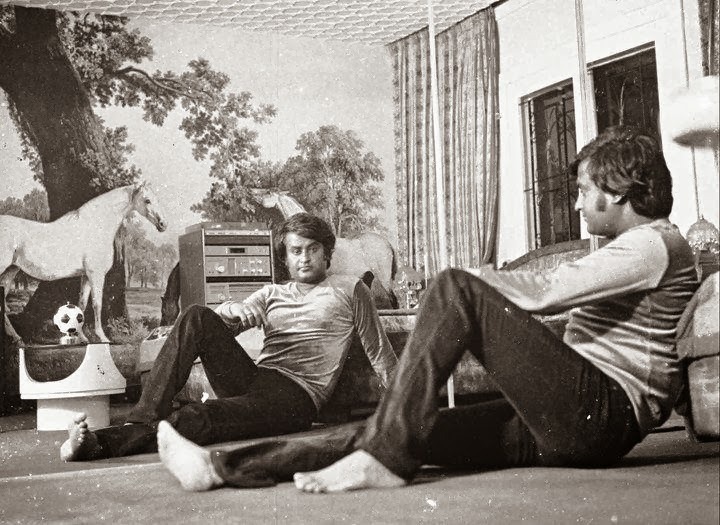 In addition to acting, Rajinikanth has also worked as a producer and screenwriter. Apart from his film career, he is also a philanthropist, spiritualist and serves as an influence in the Dravidian politics. Rajinikanth was born as Shivaji Rao Gaikwad, to mother Jijabai and father Ramoji Rao Gaikwad, a police constable, on 12 December 1950 in the Indian city of Bangalore in Mysore State, present-day Karnataka. Being the youngest of four siblings in the family he has two brothers and a sister. After his mother's death when he was nine years old, he struggled with an impoverished lifestyle during his childhood. During that time, he often did odd jobs as a coolie in his community. He attended the Government Model Primary School at Gavipuram, Bangalore, where he had his primary education in Kannada language. Between 1966 and 1973 he worked in many places in Bangalore and Madras. He performed various jobs before joining the Bangalore Transport Service (BTS) as a bus conductor. He began to take part in stage plays after Kannada playwright and director Topi Muniappa offered him a chance to act in mythological moral plays. His most notable was that of the villainous Duryodhana. In 1973, his friend and co-worker Raj Bahadur motivated him to join the Madras Film Institute and also financially supported him during this phase. His performance in a stage play got noticed by Tamil film director K. Balachander. The director advised him to learn to speak Tamil, a recommendation that Rajinikanth quickly followed. Rajinikanth married Latha Rangachari on 26 February 1981, at the age of 31 in Tirupati, Andhra Pradesh. The couple have two daughters named Aishwarya Rajinikanth and Soundarya Rajinikanth. His wife, Latha Rajinikanth, currently runs a school named "The Ashram". His elder daughter, Aishwarya, married actor Dhanush on 18 November 2004 and they have two sons named Yathra and Linga. His younger daughter, Soundarya, works in the film industry as a director, producer and graphic designer. She married industrialist Ashwin Ramkumar on 3 September 2010. 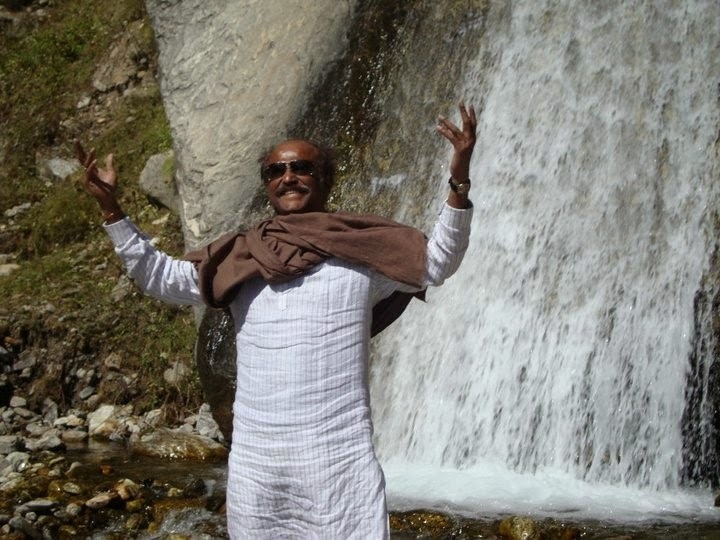 Rajinikanth is a follower of Hinduism, spiritualism, and a strong believer of spirituality. As a reader, he also enjoys books on such topics. He is also a practitioner of yoga and meditation. Rajinikanth is known for visiting temples prior to the release of each of his films; for instance he visited the Tirumala Venkateswara Temple before the release of Sivaji in 2007 and visited Sathya Sai Baba at Prasanthi Nilayam in Andhra Pradesh before the release of Kuselan the following year. He also occasionally leaves for pilgrimage to the Himalayas. 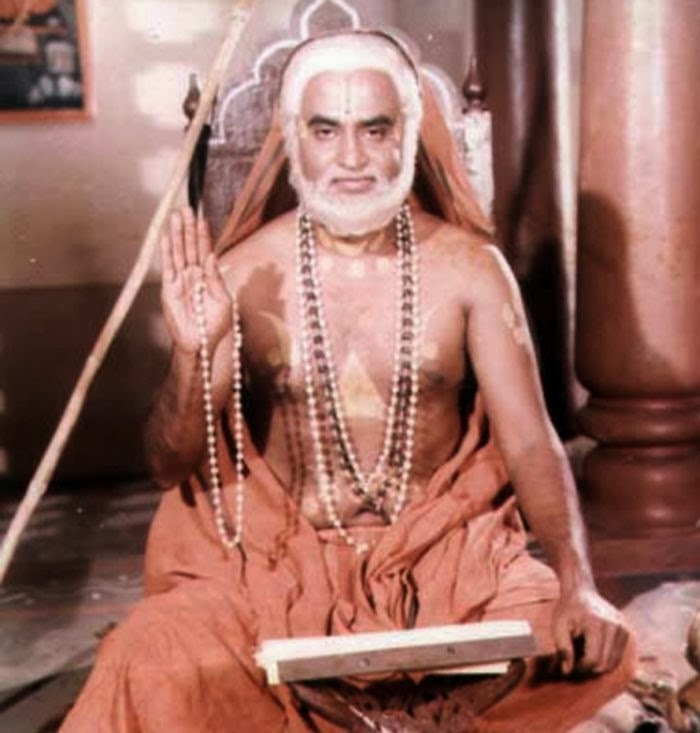 He has often referred to Ramakrishna Paramahamsa, Swami Satchidananda, Ragavendra Swami, Mahavatar Babaji,and Ramana Maharishi as his favourite spiritual leaders. In 1975, Rajinikanth began his career in cinema through the Tamil movie Apoorva Raagangal. Starring Kamal Haasan, the film was directed by K. Balachander, who gave Rajinikanth a relatively small role as an abusive husband of Srividya. The film went on to win the National Film Award for Best Feature Film in Tamil at the following year's ceremony. His second film, a Kannada film, Katha Sangama, was directed by Puttanna Kanagal and released in 1976. 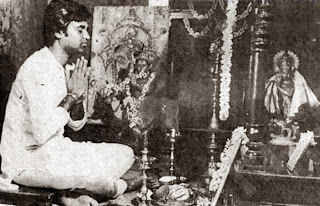 His next film Anthuleni Katha, a Telugu film directed by K. Balachander which was a remake of his own Tamil film Aval Oru Thodar Kathai (1974), had Rajinikanth playing a more pivotal role. In the following years, he continued to perform a variety of negative roles: a sadistic husband of Sujatha in Avargal, a womaniser in Moondru Mudichu, and a lust-filled village rowdy in P. Bharathiraja's 16 Vayadhinile. In 1977, he accepted his first-ever lead role in the Telugu film Chilakamma Cheppindi. Though Rajinikanth always refers to K. Balachander as his mentor, it was S. P. Muthuraman who revamped his image. Muthuraman first experimented with him in a positive role in Bhuvana Oru Kelvikkuri (1977), as a failed lover in the first half of the film and a protagonist in the second half. The duo went on to work in 25 films till the 1990s. 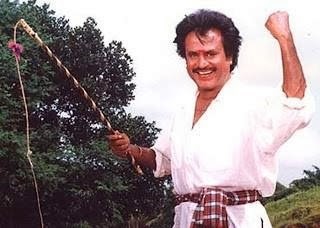 The 1978 film Bairavi was the first Tamil film to cast Rajinikanth as a main hero. He also got the "superstar" title through the film. Mullum Malarum that released during this period received critical acclaim. The film marked the directional debut of J. Mahendran, had the screenplay adapted from a novel of the same name published in Kalki. It eventually won the Filmfare Award for Best Tamil Film and Rajinikanth a special prize for Best Actor at the Tamil Nadu State Film Awards. 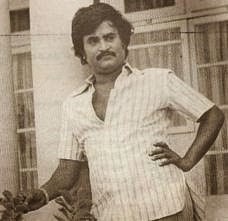 The success of Bhuvana Oru Kelvikkuri prompted Muthuraman to make a mushy melodrama with Rajinikanth as a hero sacrificing everything for his siblings in Aarilirunthu Arubathu Varai (1979). Following this, he made his Malayalam film-debut through Allauddinum Albhutha Vilakkum. In the same year, he acted in Dharma Yuddam, in which he played a mentally ill person taking revenge for his parents' death. He also shared the screen with N. T. Rama Rao in his 50th film Tiger. Some of the popular films that also released during this period are the youthful entertainer Ninaithale Inikkum, the Tamil–Kannada bilingual Priya, and the Telugu film Amma Evarikkaina Amma. Priya, based on a detective novel by Sujatha Rangarajan had the distinction of being the first film of Rajinikanth to be shot mostly outside India, mainly in Southeast Asia. By the end of the 1980s, he became a popular actor in the South Indian cinema. During this phase of his career, Rajinikanth abruptly chose to quit acting, but was coaxed back. He made a comeback with the Tamil film Billa, which was a remake of the Bollywood film Don (1978). It had Rajinikanth playing dual roles and eventually became his first ever commercial success. His pairing with Sridevi continued in Johnny where he was once again cast in a double role. In 1981, he appeared in Garjanai which was shot simultaneously in Kannada and Malayalam, making it his last film in those two languages till date. He also starred in Murattu Kaalai which was a commercial success. In K. Balachander’s first home production, Netrikan, he performed dual roles as a womanising father and a responsible son. He acted in Thillu Mullu directed by K. Balachander, which was Rajinikanth's first full-length comedy. He agreed to it solely due to the strong suggestion by his mentor that he should do non-commercial roles, to break the stereotyped action-hero mould by which he was getting famous at the time. In 1982, he starred in Pokkiri Raja and Thanikattu Raja. 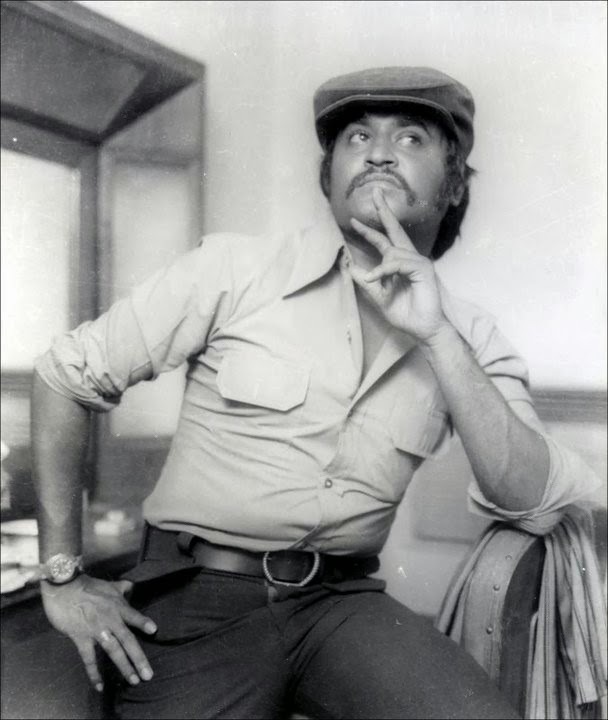 Moondru Mugam had Rajinikanth playing three roles for the first time. In 1983, he starred in his first Bollywood film, Andha Kanoon, alongside Amitabh Bachchan and Hema Malini. The film went on to become one of the highest grossing films of that time. His 1984 film, Naan Mahaan Alla, was directed by Muturaman and produced by K. Balachander. He acted in his first cameo role in the film Anbulla Rajinikanth. He played a triple role in John Jani Janardhan. His performance in Nallavanuku Nallavan earned him a Filmfare Best Tamil Actor Award. In his 100th movie, Sri Raghavendra (1985), he played the Hindu saint Raghavendra Swami. In the second half of the 1980s, Rajinikanth acted in many superhit Tamil films like Naan Sigappu Manithan (1985), Padikkathavan (1985), Mr. Bharath (1986), Velaikaran (1987), Guru Sishyan (1988) and Dharmathin Thalaivan (1988). In 1988, he made his only English film appearance in Bloodstone, directed by Dwight Little. Rajinikanth finished the decade with films including Rajadhi Raja, Siva, Raja Chinna Roja and Mappillai while also starring in a few Bollywood productions. Raja Chinna Roja was the first Indian film to use animated characters with actors. 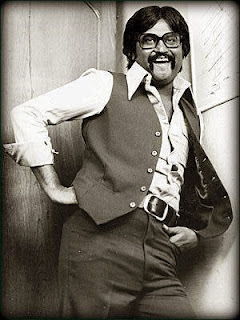 During this decade, Rajinikanth established himself as a commercial entertainer. Almost all the films released during this period were highly successful at the box office. He began the decade with Panakkaran (1990). His stint with Bollywood continued since the past decade as he went on to star in more Hindi films. Hum released in 1991 saw him doing the second main lead with Amitabh Bachchan became an inspiration for Badsha. In 1991, he worked with Mani Ratnam in Thalapathi, which was heavily inspired from the Sanskrit epic, Mahabharata. in which he co-starred with actor Mammooty; the film dealt with the friendship between two unknown characters based on Karna and Duryodhana, respectively, and was set in a more contemporary milieu and was both critically acclaimed and successful upon release. He went on to appear in remakes of films from other languages, mostly from Hindi and Telugu. Annamalai, which released in 1992, was yet another friendship eccentric film and was loosely based on the 1987 Bollywood film Khudgarz. Mannan, directed by P. Vasu, also became a box-office success. Rajinikanth wrote his first screenplay for the film Valli (1993), in which he also made a special appearance. He also starred in the movie Yejaman, in which he played the role of Vaanavaraayan, a village chieftain. His romantic-comedy Veera (1994) was controversial for its climax but went on to become one of the highest grossing films in 1994. 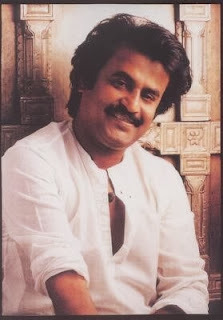 He joined hands with Suresh Krishna for Baasha (1995), which emerged as an industry record, and is routinely touted by fans and critics alike as a major-hit, as the film elevated him from being just another very popular actor to nearly a demigod status among the masses. He made a cameo in Peddarayudu for his friend Mohan Babu and also helped him in obtaining the remake rights. The same year, he acted in yet another gangster film, Aatank Hi Aatank with Aamir Khan which was also his last Hindi film in a major role till date. His film Muthu was another commercial success, directed by K. S. Ravikumar and produced by K. Balachander, and became the first Tamil film to be dubbed into Japanese, as Mutu: Odoru Maharaja. The film grossed a record US$ 1.6 million in Japan in 1998 and was responsible for creating a large Japanese fan-base for the actor.Muthu's success in Japan led American news magazine Newsweek to comment in a 1999 article that Rajinikanth had "supplanted Leonardo DiCaprio as Japan's trendiest heartthrob". He also entered Bengali cinema through Bhagya Debata, which released at the end of 1995. 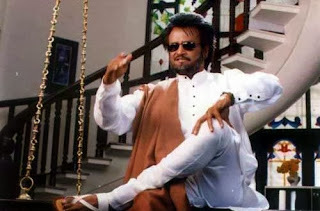 After a brief gap, Rajinikanth starred in Baba in 2002, for which he had also written the screenplay. 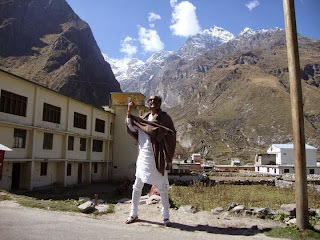 Released with much fanfare and hype at the time, the film featured a story revolving around the reforming of a gangster, who is revealed to be the reincarnation of the Hindu saint Mahavatar Babaji, and fights against political corruption. It fell short of market expectations and the high bids reportedly translated to heavy losses for the distributors. Rajinikanth himself repaid the losses incurred by the distributors. The film was received with comments such as "the bloom was off the rose" and that "the gold does not glitter any more". Pattali Makkal Katchi leader S. Ramadoss condemned him for smoking and posing with beedis in the film. He was criticised for spoiling Tamil youth by glorifying smoking and drinking. PMK volunteers attacked theatres which screened the movie Baba and usurped film rolls and burnt it. Two years later, Rajinikanth signed up for P. Vasu's Chandramukhi (2005), a remake of the Malayalam evergreen hit classic Manichitrathazhu. The film eventually broke the record of being the longest running Tamil film as of 2007. It was also dubbed in Turkish and German as Der Geisterjäger and released in those respective nations. Following Chandramukhi's release, it was reported that AVM Productions were set to produce a film directed by S. Shankar starring Rajinikanth—the largest collaboration yet for a Tamil film. The film was Sivaji and released in the summer of 2007, following two years of filming and production. It became the first Tamil film to be charted as one of the top-ten best films of United Kingdom and South Africa box-offices upon release. Rajinikanth received a salary of INR20 crore (US$3.1 million), for his role in the film, which made him become the second highest paid actor in all of Asia. During the production of Sivaji, Soundarya Rajinikanth announced her intention of producing a computer-generated imagery film starring an animated version of her father titled Sultan: The Warrior. The film was set for release in 2008, however it entered development hell and its development status would become unknown over the next few years. 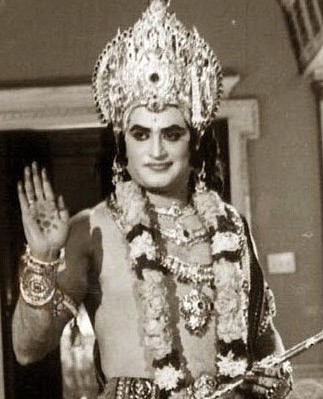 He worked with P. Vasu again for Kuselan, which was made simultaneously in Telugu as Kathanayakudu, in which Rajinikanth played an extended cameo role as himself, a film star in the Indian cinema, and as a best friend to the film's protagonist. 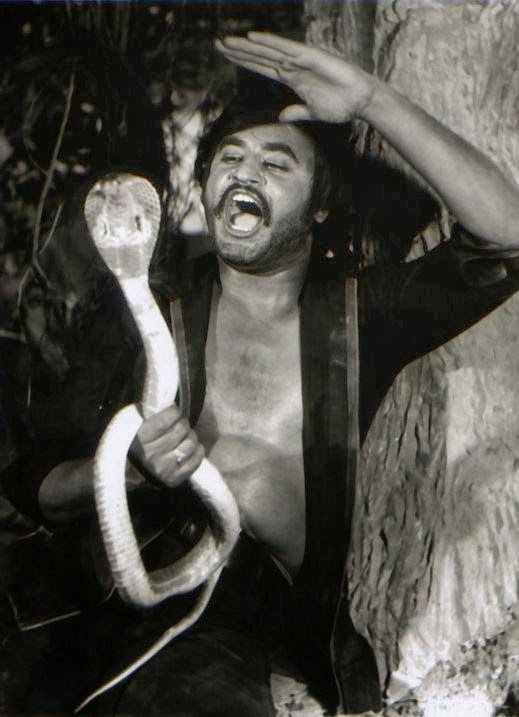 According to Rajinikanth, the film somewhat narrated his early life. The film, however, performed poorly at box offices and led to many distributors incurring major losses.Rajinikanth also stated that he would work with Pyramid Saimira again in order to compensate for Kuselan. Rajinikanth worked again with S. Shankar for the science fiction film, Enthiran. The film was released worldwide in 2010 as the most expensive Indian film ever made, ultimately becoming the highest-grossing tamil film in India of its time. Rajinikanth was paid a remuneration of INR45 crore (US$6.9 million) for the film. In January 2011, Rajinikanth was slated to appear in Rana, a period film to be produced by Soundarya Rajinikanth and directed by K. S. Ravikumar, who would work with Rajinikanth for the third time. During the principal photography of the film on 29 April 2011, he suffered a mild foodborne illness that caused emesis which resulted in dehydration and exhaustion. He was treated at St. Isabel's Hospital for a day before being discharged. Five days later, he was rushed to the same hospital again after suffering from breathlessness and fever.He was diagnosed with bronchitis and was kept at the hospital for a week, while spending a few days under an intensive care unit. Several conflicting reports of discharge dates had arose, as well as claims of Rajinikanth's health deteriorating, which were continuously denied by Latha Rajinikanth. By this time, CNN-IBN reported that "Rajinikanth dead" was one of the top trends on Twitter and most searched term on Google in India. Two days after his last discharge, Rajinikanth was admitted to the Sri Ramachandra Medical College and Research Institute on 16 May 2011 for recurring respiratory and gastrointestinal problems. The hospital, however, continued to maintain that Rajinikanth was in a stable condition and showed positive response to treatment. It was widely reported that he required a kidney transplantation, which was later denied by Dhanush. 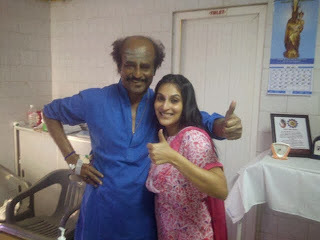 On 21 May 2011, Aishwarya Rajinikanth released a photo of her and Rajinikanth, both posing with a thumbs signal in his hospital ward, responding to fans' negative reaction to news reports. The hospital restricted unauthorised visitors. 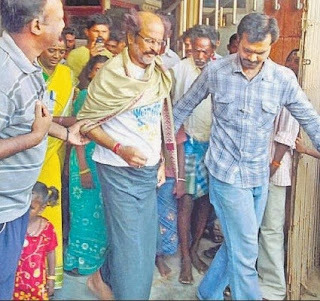 Rajinikanth's brother, Sathyanarayana Rao Gaikwad, reported that the cause of the sudden illness was due to stress from rapid weight-loss and changes in diet, as well as withdrawal of alcohol consumption and smoking cessation. After addressing fans in a 4-minute digitally recorded voice message to the media, Rajinikanth, under the advice of Amitabh Bachchan, travelled from Chennai to Singapore with his family on 21 May 2011, where he was to undergo further treatment for nephropathy at Mount Elizabeth Hospital. After spending over two weeks at the hospital, he was finally discharged on 15 June 2011 and continued to stay in Singapore for vacation, before returning to Chennai on 13 July 2011. Despite several failed attempts to restart Rana, Rajinikanth reprised his Enthiran character, Chitti, in the Bollywood science-fiction film Ra.One (2011) in a guest appearance alongside Shahrukh Khan and Kareena Kapoor. In November 2011, it was decided that Rana would be shelved to make way for a new project with Rajinikanth in the lead, titled Kochadaiyaan, to be directed by Soundarya Rajinikanth and written by K. S. Ravikumar. The motion capture film, which also features Deepika Padukone is scheduled to be released in April 2014. 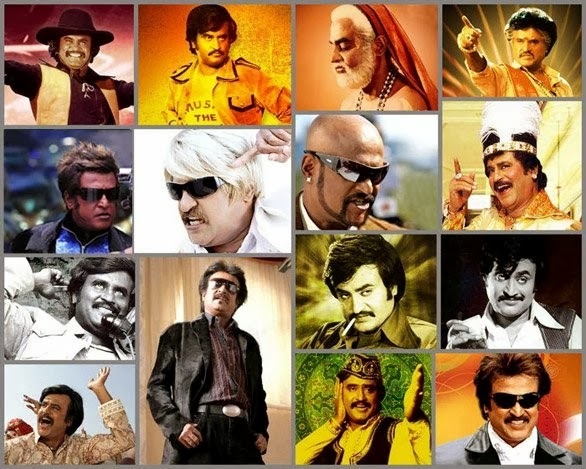 Rajinikanth has been called the most popular Indian film actor of his time in South India. His popularity has been attributed to "his uniquely styled dialogues and idiosyncrasies in films, as well as his political statements and philanthropy". Many also cite reasons for Rajinikanth's popularity as coming from his larger-than-life super-hero appearance in many films, supported by gravity-defying stunts and charismatic expressions, all while attempting to maintain modesty in real-life. 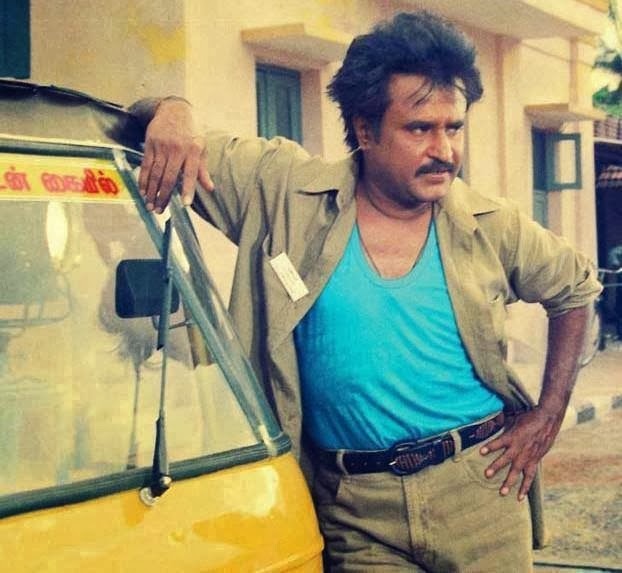 Almost every film of Rajinikanth has punchlines delivered by him in an inimitable style, and these punchlines often have a message or even to warn the film's antagonists. These dialogues are usually fabricated to create new ones or even taken in a comical way, but do not fail to create a sense of entertainment among viewers. It is suggested by the media that some popular actors who worked with Rajinikanth earlier in their careers, such as Gouthami Tadimalla and Nayanthara, were recognised because of their association with Rajinikanth, giving other aspiring actors the urge to work with him. Some fellow actors, such as Cho Ramaswamy, have commentated that Rajinikanth has the potential to be successful in Indian politics due to his popularity and fan base alone. During a visit to Japan in 2006, Indian Prime Minister Manmohan Singh acknowledged the success of Muthu in the country during a speech, justifying the positive relationship between the two nations. Chandramukhi is notable for being the longest-running Tamil film in India, playing for a total of over 800 days. Sivaji was instrumental in making one of the largest releases for an Indian film in the world; the film entered the list of top ten films of the United Kingdom upon release. Chandramukhi and Sivaji were also released in South Africa, where they eventually became high box-office grossers. In December 2010, it was reported that students of the post-graduate management program at the Indian Institute of Management Ahmedabad would use Enthiran as a case study to analyse the business of cinema and its success story, as part of an elective course called Contemporary Film Industry: A Business Perspective. The course would also study Muthu. "Rajinikanth facts" or "Rajinikanth jokes" are satirical factoids about Rajinikanth. They are widely circulated in text messages and over the internet. Most Rajinikanth "facts" are said to be lifted from Chuck Norris facts. These satirical jokes have also inspired an application for iOS. It has been reported that the first biography of the actor will be launched by Penguin Books on 12 December 2012, coinciding with his 62nd birthday. Rajinikanth is the only actor who became a chapter in the lesson for CBSE syllabus titled ‘From Bus Conductor to Superstar’ which comes under the category Dignity of Work. In 1995, Rajinikanth began supporting the Indian National Congress after meeting Prime Minister Narasimha Rao. An opinion poll conducted by the magazine Kumudam predicted that Congress with Rajinikanth's support might win up to 130 seats in Tamil Nadu Assembly. 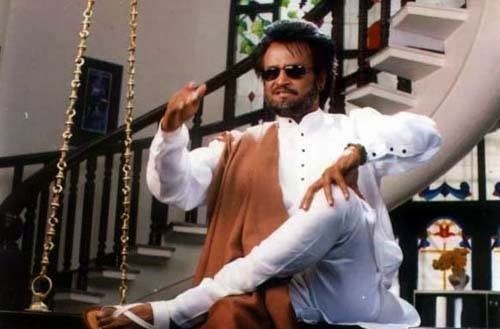 In 1996, when the Congress Party decided to align with All India Anna Dravida Munnetra Kazhagam (AIADMK) for the assembly election in Tamil Nadu, Rajinikanth changed loyalties and supported Dravida Munnetra Kazhagam (DMK)-Tamil Maanila Congress (TMC) alliance. The TMC used a bicycle as their election symbol and used an image of Rajinikanth riding a bicycle from the film Annamalai in their posters. Rajinikanth said, "Even God cannot save Tamil Nadu if AIADMK returns to power." Rajinikanth wholeheartedly supported the DMK and TMC alliance and asked the people of Tamil Nadu and his fans to vote for that alliance. This alliance had a complete victory in 1996. Rajinikanth also supported the DMK-TMC alliance in the parliamentary election held the same year. In 2002, Rajinikanth undertook a daylong fast to protest the Government of Karnataka's decision to not release Kaveri River water into Tamil Nadu and announced that he would contribute INR1 crore (US$150,000) toward a plan to interlink Indian rivers. He met with Indian Prime Minister Atal Bihari Vajpayee and many experts to canvass support for the project. However, most other members of the Tamil film industry, including members of the South Indian Film Artistes' Association (SIFAA), organised their own solidarity protest. Film director Bharathi Raja stated that Rajinikanth was on the verge of dividing the film industry and called him "traitor who had a tacit understanding with the Karnataka government". Later in 2004, Rajnikanth said he would personally vote for the BJP but would not extend his support to any front. The alliance was completely thrashed in the election and did not even win a single seat out of the 39 seats for Tamil Nadu in the Lok Sabha. During the 2008 hunger strike organised by SIFAA against Karnataka's stance on the Hogenakkal Falls water dispute, he reprimanded politicians in Karnataka. Further, he appealed to leaders not to inflame the water project issue for political gains and requested that the issue should be resolved soon. He urged the Karnataka politicians "to speak the truth". "They cannot be fooled and will not remain silent if you continue to act in such manner," he stated. Vatal Nagaraj, a hardline Kannada activist and leader of the Kannada Chaluvali Vatal Paksha, demanded an apology from Rajinikanth and threatened that he would not be allowed in the state of Karnataka and all his films would be boycotted.This was also echoed by other pro-Kannada organisations such as the Karnataka Rakshana Vedike.In an effort to save the economy of Tamil cinema in Karnataka and ensure welfare of Tamil Nadu-based filmmakers, Rajinikanth made a brief media appearance on the news channel TV9 Kannada and clarified his speech, issuing an apology for his statements. Following the release of Kuselan in Karnataka, Rajinikanth thanked the Kannada film industry for allowing the release of the film and lifting the ban. Fellow Tamil actors R. Sarathkumar, Sathyaraj and Radha Ravi condemned the apology, calling it a "disgrace to Tamilians" and stating that "there was no need for him to apologise as his speech never provoked the sentiments of Kannadigas or the Kannada film industry". Local fan associations of Rajinikanth in Tamil Nadu continuously speculated his entry in politics. In this regard, a few fans in Coimbatore began a political party in 2008 for Rajinikanth, in an attempt to pressure his entry. The party was named the Desiya Dravadar Makkal Munnetra Kazhagam (DDMMK), introducing its own flag and symbol for the party. After learning about this, Rajinikanth wrote an open letter to the media and declared that he had no connection with these events and warned fans not to indulge in such activities and that he would take legal action if they failed to adhere. He also mentioned that he was not interested in politics and thus, was only committed to working in films. He added that nobody can force him to enter politics, just as no one can stop him from entering it. Later that year, Rajinikanth took part in the SIFAA-organized one-day hunger strike with other Tamil film personalities, demanding the government of Sri Lanka to stop the civil war and to provide Sri Lankan Tamils their rights and traditional land in the island nation. The hunger strike was responsible for sparking a series of protests in different parts of the world for the same cause. In 2010, Rajinikanth supported actor Ajith Kumar, who spoke against the forceful inclusion of Tamil cinema personae in political affairs, which broke into a controversy. Later in 2011, Rajinikanth announced his support for the anti-corruption movement led by Gandhian Anna Hazare. He even offered his marriage hall, Raghavendra Kalyana Mandapam in Chennai free of cost for the India Against Corruption members to hold their fast.